Thinking of hiring a magician? Hiring a magician can make your special occasion even more memorable and unique. Ricky Locke specialises in creating unique & unforgettable moments that makes memories last a lifetime. 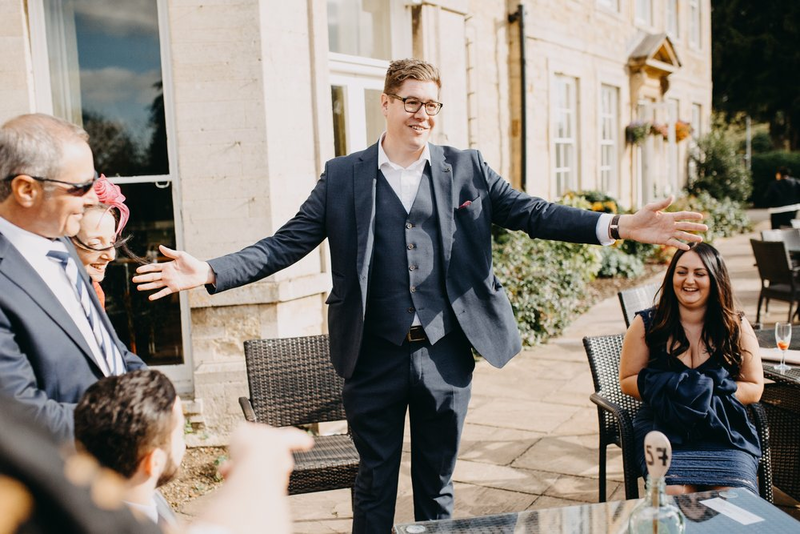 With his cheeky, funny & down to earth personality his close up magic and entertainment will engage all guests at your event to have a truly incredible time; which means that all your guests will be talking about your event long after it has finished! As well as performing amazing close up magic, Ricky is also a professional hypnotist & pickpocket. With his skills he gives everyone an incredible show stopping performance. Whether it is for your wedding, a party or corporate event. Hi I am Ricky! I am a professional Magician, Hypnotist & Pickpocket from Bourne, Lincolnshire. I have been performing magic for over 10 years and I am regularly seen performing magic at weddings, parties and other special occasions across the country. I am a proud member of the world's most prestigious magic society, The Magic Circle. I started out my career in magic by showcasing magic tricks to the general public on YouTube. After time my audience quickly grew and my YouTube channel has now over 115,000 views. With this in mind I decided to join a magic club in Peterborough to develop my skills further. As of June 2018 I am very proud to announce I am now The President of the Peterborough Society of Magicians. When I am not performing I like entering competitions and I recently competed in a national competition "WE'VE GOT TALENT," in which I competed against 20 other talent acts across the country and became a semi finalist winner. I was also nominated for an award in The Wedding Industry Awards where I became a Regional Finalist for my Wedding Magic. I absolutely love being a Magician and creating unique moments that are fun, engaging & unforgettable. I look forward to seeing how I can help make your event truly special!